The Electronic-Pop Duo ANTIWAVE Discuss Their Recently Released Single, “Holiday Heart”, their Favorite Artists and Much More! Electronic pop duo Antiwave is quickly making a name for themselves with the release of their new single, “Holiday Heart.” Penned as the first of many single releases to come, the LA/Long Beach based group premiered the single this week via taste-maker music blog Surviving The Golden Age. Antiwave crafts nostalgia-laced tracks with trip hop, shoegaze and pop elements woven in. The duo is composed of singer/guitarist Heather Baker and guitarist Rachel Sinfield. Antiwave writes music that draws influence from the 80’s, 90’s and adds their own unique, modern sound. “Holiday Heart” was self-produced and engineered by Baker and mixed by Nathan Jenkins. Thanks for your time! Now that we are entering the fall of 2016, what are some words you would use to describe this year? What have been some of the highlights for you both? I think once we started writing together towards the end of 2015, we realized we had a lot of ideas that needed to completely be worked out. So by the time 2016 came, we just put our heads down and carved out all of the songs and production in my studio at my house. We call it the Antiwave Cave! A lot of creative surprises came out of that place and it allows us the privacy and convenience to freely write music without boundaries. This year has been all about finding our sound. Growing up, did you two always want to be musicians? Can you recall your earliest musical memories? Both Ray and I had parents that filled the house with music on a daily basis. The kind of parents that would crank the radio full blast in the car on the way to school. I think we both started playing guitar around the age of 11. When we met in our sophomore year in high school, we both knew the other played guitar and that’s how we initially bonded. We met in PE class and became best friends instantly. We started writing together over that Christmas break and recording ideas on an old Tascam tape player Ray had. We are both artists and realized early on that music would always be in the cards for our future. How did Antiwave first come together? How did you come up with your band name? Ray was battling drug addiction and we had lost contact for about 3 years. During that time I started doing a lot of soundtrack music for film and learning more about production and recording on my own. At the same time I began playing guitar for singer/songwriter Bonnie Mckee, and that was a transformative experience for me. So I started developing a sound that was fusing indie with electronica/trip hop. Little did I know that while Ray was gone, she was listening to the ideas I would post on Soundcloud. When we were able to get her back and sober, it took her a few years to bounce back before we could start writing again. Finally in October of last year we started writing again and reworked an old idea of ours for fun. That’s where it all started and we knew we were finally onto something worthwhile. Antiwave to us just means going against the grain and not being pinned to a genre. You recently released your single, “Holiday Heart.” Can you talk about the inspiration behind this song? How do you go about writing songs together? The song is about how our minds are able to forget hardships in the past, and yet we suffer from regrets imbedded in our foggy memory. Holiday Heart is also a phenomena of excessive drinking that happens over the holidays and results in abnormal heart rhythms. I just thought that was a fascinating concept. This style of music is a combination of our favorite genres and we have always loved the marriage between organic and electronic instrumentation. More often then not our songs start with a simple guitar riff and I begin diving into the production immediately. Once I get a beat down and a couple of synth parts, we start drawing inspiration for melody and what the song is trying to convey emotionally. We try and take advantage of the idea being fresh and work hard to see the lyrical content completely through before calling it a day. Sometimes if we’re lucky, the melody, lyric and chord progression all happen at once and that is always a luxury. The music industry is just a bloated one. It’s really hard to get people to have the patience to listen to what you’ve spent a lot of time on. And of course, there are just so many artists that it’s easy to be marginalized without doing proper PR. So the biggest challenge for us is being really diligent and planning our releases to keep momentum up. Truly, we just want people to follow us if they like our music. It’s that simple. Our favorite artists include The Cure, Cocteau Twins, AIR, Sneaker Pimps, Tears for Fears…the list goes on and on. We’d love to work with acts like Big Data, The Knocks, Joywave and Tame Impala. 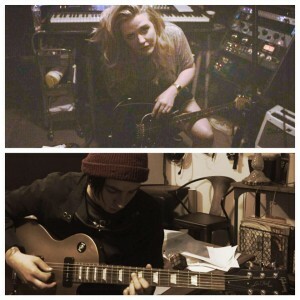 Co-writing with anyone trying to fuse pop and electronic elements always sounds like a good time. It’s amazing what ideas come out of different people. We actually enjoy drawing and painting alongside watching shows like Game of Thrones. Our nerdiness comes out when it turns into GOT season. We also like to go hiking and unwind with nature around us. Most of all, we are major goofballs and enjoy taking funny videos of each other! I remember as I heard new artists throughout my life, there were certain songs I felt an inner connection to. Like the complexity of Zero 7’s “In The Waiting Line” or The Cure’s “Love Song” made me feel not so alone and helped me embrace being different. It seemed like they were written for someone like me. I hope that our listeners feel the sort of nostalgia we feel as we write our songs. 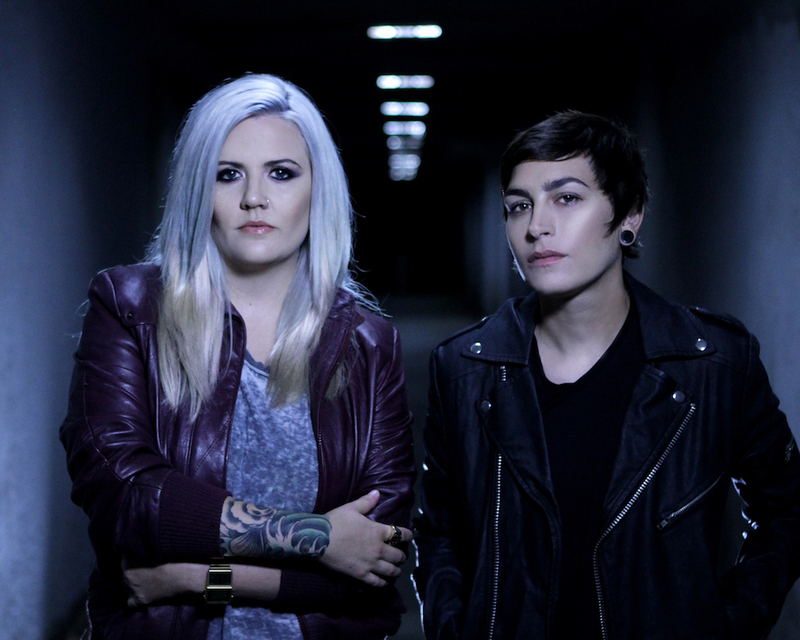 An Interview With The Switzerland Based Indie-Folk Duo, FAMOUS OCTOBER! From Being On The Front Page of Apple Middle East To Releasing Her Debut EP, The Musician TAMTAM Has A Lot To Share!